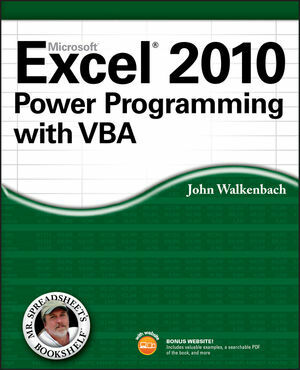 John Walkenbach, arguably the foremost authority on Excel, has written hundreds of articles and created the award-winning Power Utility Pak. His 50-plus books include John Walkenbach's Favorite Excel 2010 Tips & Tricks, Excel 2010 Formulas, and the bestselling Excel Bible, all published by Wiley. Visit his popular Spreadsheet Page at spreadsheetpage.com.